I don't know why--maybe its name came up in one of the many and varied scent blogs I read--but a few days ago I was idly thinking about L'Artisan's Havana Vanille, which was launched in mid-2009 and which was pretty obviously the sort of thing that I would love: vanilla, of course, but also tobacco and rum and tonka and and spices and a great many other things that bring me pleasure. Even though I have vowed to not buy any scents this year (a vow which I am going to break in a couple of months, about more which anon), I put it on my list of samples to order on January 1st, 2012. Later that day I was digging through a shoebox full of samples looking for something interesting to write about, and to my shock--I think my jaw fell--there was a vial of Havana Vanille which I have had for certainly a year and didn't know I owned. Lesson 2: Don't buy more of something than you can reasonably use. I went through a phase where I was ordering lots of tempting samples from The Perfumed Court and Luckyscent. In fact, just last week I had to stop myself from buying the newest Luckyscent sample pack, eight vials from a line called SoOud, many of which sound gorgeous. But I have got at least a hundred vials that I haven't even tried yet (see Lesson 1), and there is no way I can justify spending a single cent on more fragrances, so I exhibited an uncharacteristic strength of will and closed the web page. Lesson 3: Don't buy full bottles of scents unsniffed (unless they're really cheap and you can live with the possibility of making a mistake). So I put a big healthy glug of Havana Vanille on my skin and kind of hated it. 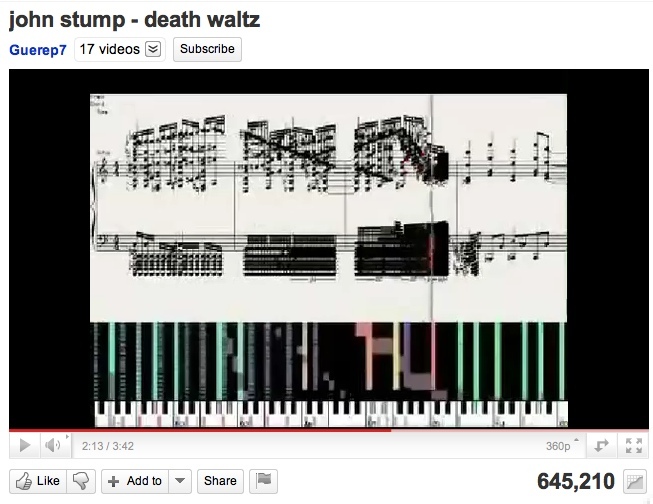 I gave it some time, and my dislike was not much diminished. Imagine if I had gone by the list of notes and bought the bottle online! 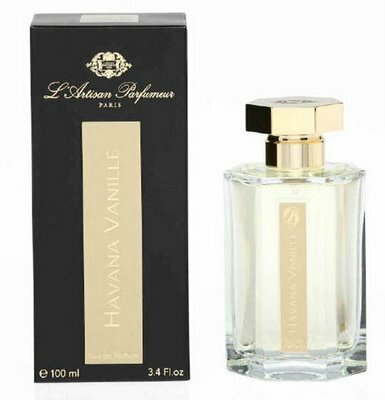 Havana Vanille--already renamed Vanille Absolument--smells, obviously, like vanilla, like blond tobacco crushed together with vanilla beans in spiced rum, and even though that is a peck of glorious scents right there, it's all too much, big and heavy and sweet in a damning, overbearing way. There is a floralcy to the middle and a dusky woodiness at the base, and when you've gotten to that point the sweetness has tapered off somewhat, but it really is far too late by then: the thing has outstayed its welcome for hours. I note that some other people find Havana Vanille relatively light, and fine, everybody's nose is different, but that to me is incomprehensible: I own some fairly heavy, strong, and/or sweet scents, and Havana Vanille is right up there with them in weight and texture. Lesson 4: Nothing lasts forever. Vanille Absolument is replacing Vanilia, which I own, have worn for at least 15 years, and still adore (I wore it just last week, and it has never palled over the years). That's vanilla done right: stylish, graceful, perfectly unisex, a luminous concoction of vanilla pod, vanilla orchid (officially ylang-ylang, but orchidaceous to my nose), and spice, wreathed in feathery smoke. Vanilia is discontinued and is no longer on the company's website, but some online retailers still have it (you may have to hunt around), as does The Perfume Shoppe. If you love Vanilia or you just adore amazing vanilla scents (and can ignore Lesson 3), I'd snap it up if I were you. Regarding Lessons 2 and 3, I am taking a little trip to New York in June and I am determined that the latest Serge Lutens export, Jeux de Peau, will be mine; it's meant to smell like buttered toast, and the list of notes ("Bread note, spices, licorice, apricot, immortelle, sandalwood, woody notes, amber", says Luckyscent) suggests that I will not be able to live without it, since Lutens is my obsession of obsessions. I will smell it first, just in case. But I'll do so with my credit card in my hand. The Washington Post's Andreas Viestad summed up the chasm between the uninitiated and the proselytizers nicely: "This food tastes wonderful, but it is hard to find words to describe it … How can you convince someone who has never tasted tuna marrow that it is delicious?" It's a problem inherent to writing about any kind of sensory experience, of course, but at least with less experimental food, critics can assume their readership has a baseline familiarity with most of the flavors they're writing about. That is a problem: how do you describe flavours and smells without reference to others? You have two options, I think: go off on poetic flights of fancy, or root your description in the familiar (and hope that readers are familiar with your references). I'm not a flights-of-fancy kind of guy: I can't go on about unicorns and magic-carpet rides and whatnot. I'd rather say that something smells like a tuberose wrapped in warm wool, or like Joy only not so good, and assume that you can figure out what I mean. Now. If you have not heard this, then you ought to. 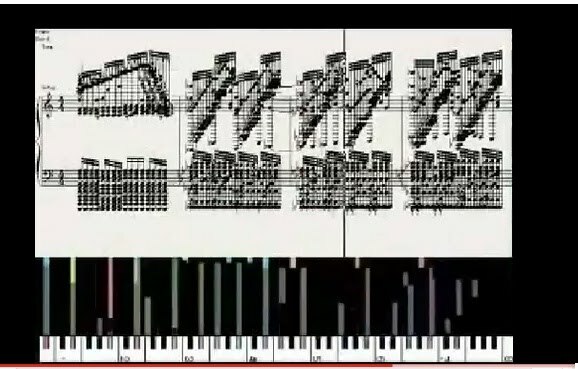 with fifteen or more notes being sounded simultaneously and in frighteningly rapid succession, yet to my amazement, you can always understand exactly what is happening musically: the parts of the music, the left and right hands, the glissandi and arpeggiation, all of it perfectly clear and obvious. How can this be? 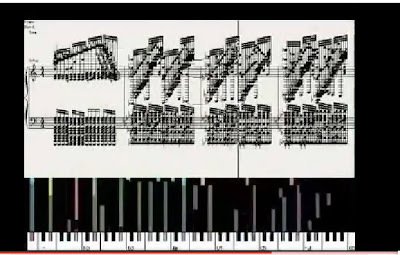 Is it the orchestration, my brain, or some combination of the two? 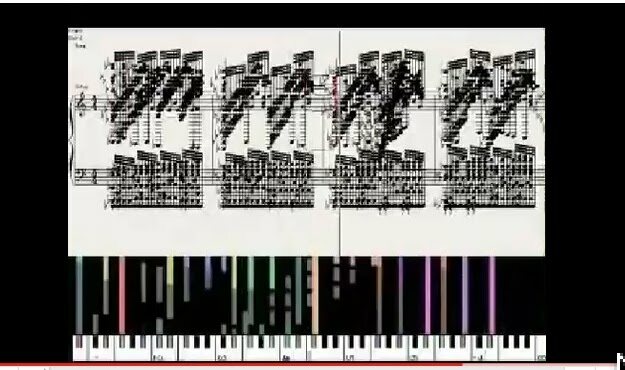 I don't know enough about music to know how this is possible, but all of the pieces fit together into a whole. I wish that were true of L'Artisan Parfumeur's Bois Farine, but it is a jumble to me, a thoroughly incoherent and unlikeable scent. Bois Farine--"flourwood"--is based on a tree which grows only on Reunion Island and whose flowers smell like flour. The scent doesn't smell of flour, exactly, but it does start off smelling much like unsweet baked goods, no gourmandise here: the top note is suggestive of peanut-butter cookies without nearly enough peanut butter, and soon after that of stick pretzels. It isn't bready, because there isn't any yeastiness to it, but it does smell like flour-based food. And then someone goes and smashes a bottle of cheap iris cologne on the floor and wrecks everything. There's cedar, too, and eventually some sweetness in the form of benzoin, but that men's-cologne iris: what's that doing there stinking up the bakery? It would have been possible to build some sort of bridge between the bake-shop opening and the sweetened-wood base, and it might even have been possible to do it with a floral middle, but this was not the way to do it. 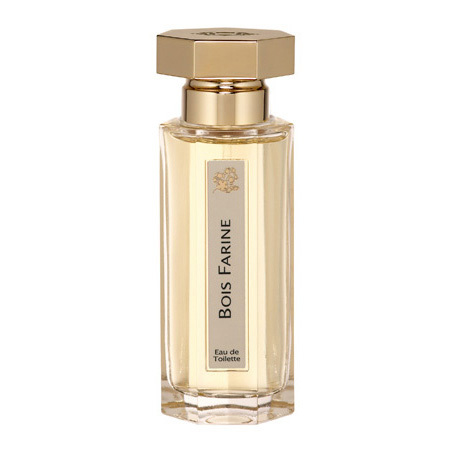 Bois Farine doesn't smell like anything else, and if you like iris, then you might like this. But I just wanted it to go away. I wore it four times so I could think and write about it, and each time I felt as if I couldn't scrub it off fast enough.